When your personal finances involve different providers, portfolios and management partners, pulling everything together to get the big picture can be tricky. But the new MyChancellor client portal is an accessible online solution to that very problem — built to serve you better with sophisticated features that are simple to use. Set to launch soon, it enables you to securely store all of your crucial personal financial information and paperwork in one password-protected place. By bringing personal finance to your fingertips on your mobile, tablet and PC, MyChancellor heralds a high-water mark of enhanced customer service and convenience. MyChancellor boasts a wealth of brilliant features, but security comes first and foremost. So since the platform has been robustly resilience tested, independently audited, is password-accessed and automatically locks inactive users out after a predetermined time, you can fee safe that your financial data is as safe as gold in the New York Fed. Intuitive dashboard offering a global overview of your financial data and the opportunity to zoom in on granular details for individual categories, investments or accounts. The dashboard is completely customisable, with drag and drop pods that can be added, rearranged or removed in any way you see fit. Accessible online via any smart phone, tablet or PC for peace of mind on the move. Comprehensive and complete view of your finances made possible by you adding information on assets or instruments possibly not managed by Chancellor Financial, such as bank and credit card info, UK and overseas property, workplace savings, protection and insurance. A Net Worth view which provides an instant visual representation of assets, liabilities and Net Worth. The facility to securely view and download financial documents. As well as using MyChancellor as a powerful tool to categorise, collate and clarify your financial activities, it’s also adept at allowing you to plan for the future. The portal makes diarising financial events easy — it’s simple to set reminders for everything from insurance expiry and renewal dates to repayment schedules and bank transfers. A spending overview and breakdown allows you to budget with brilliant precision and a secure messaging system enables you to get in touch with your Chancellor contact to arrange a meeting or seek clarification or advice.  At Chancellor Financial Management, we’ve always taken pride in our professional expertise and peerless client service. And with MyChancellor, we’re taking our offering to the next level with a terrific online tool which lets you access vital financial info swiftly and securely at any time you need it — whether you’re in Bolton or Bologna.